Drawing a parallel between the long-term efforts of her husband's supporters and the fight to end slavery, Heidi Cruz said Tuesday that it took "a lot longer than four years" for the latter fight to be successful. 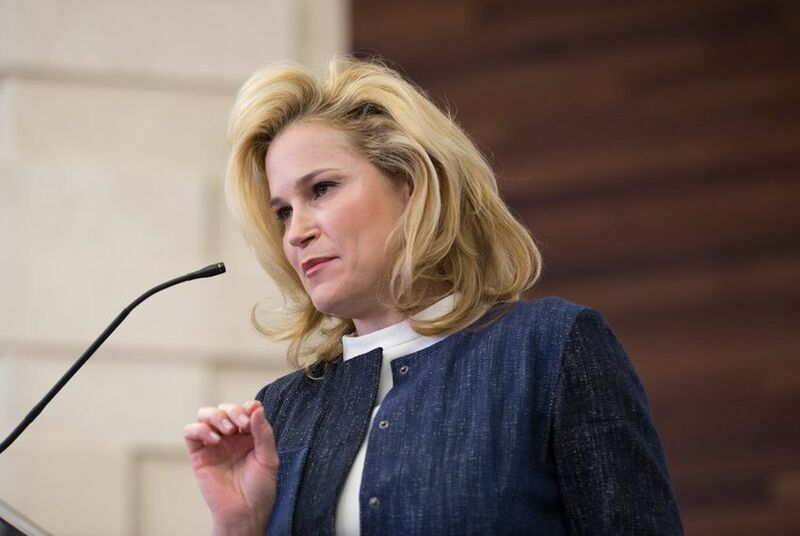 On a conference call with the campaign's National Prayer Team, Heidi Cruz portrayed Ted Cruz's presidential campaign, which ended a week ago, as one part of a broader journey similar to the abolition of slavery. “I don’t want you to feel like any of this was in vain," Heidi Cruz said. "I believe in the power of prayer. This doesn’t always happen on the timing of man, and God does not work in four-year segments." "Be full of faith and so full of joy that this team was chosen to fight a long battle," she continued. "Think that slavery — it took 25 years to defeat slavery. That is a lot longer than four years." Heidi Cruz was joined later on the call by her husband, who reiterated his disappointment with the outcome of the race but encouraged supporters to stay involved. The dial-in information for the call was publicly shared by Cruz supporters. On the call, Heidi Cruz also elaborated on her husband's decision to end his campaign, which came after his devastating loss to Donald Trump last week in the Indiana primary. Trump's victory in the Hoosier State set him on the path to become the presumptive nominee. "I want to assure all of you that this was not a race we gave up," Heidi Cruz said. "This was a race that no longer had a viable path to victory, and it would’ve been very demoralizing for you all and the troops to go through nine states of losses. We left on a high note. We left when there was no possible way that we were going to win." More than once, Heidi Cruz's called her husband's campaign "just the beginning." "We have changed the Republican Party," she said. "This is no longer about the establishment and the old way of doing things versus the Constitution. This party is now being deceived, but the old battles are behind us, the new ones are before us." "It was our first national race, but we have changed the Republican Party by Ted being in the Senate and Ted running this race," she said. At multiple points, Heidi Cruz suggested her husband's political operation would remain robust as he heads back to the Senate, where he is planning what she called an "enormous agenda." "We are not only keeping this band together, we have been having meetings five hours a day since the time we dropped out," she said. "Every single person in our leadership team in our campaign, Ted and I will probably be working with on a weekly basis in the next four years."